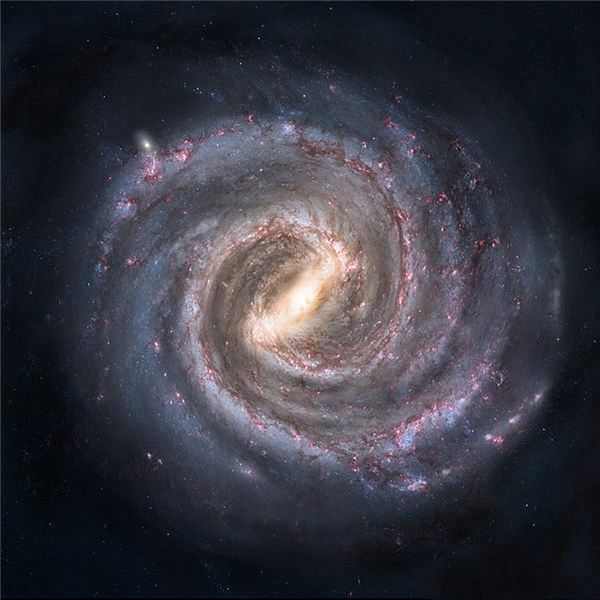 What is in the Milky Way galaxy, and where is Earth's position? Before we get to where we are in the Milky Way we need to understand just what the Milky Way is. The Milky Way is a spiral galaxy consisting of approximately 200 – 400 billion stars, gravitationally bound in a spiral shape with a bulging central core. 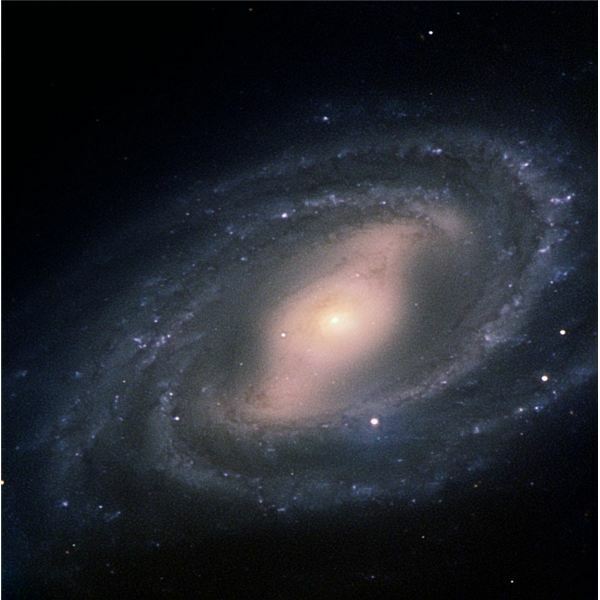 More precisely, the Milky Way is a barred spiral galaxy, which may be similar to Messier object M109 (NGC 3992), which is a barred spiral (Hubble classification SBbc) and can be seen below. At the core of the galaxy there is a supermassive black hole that can only be indirectly observed by the motions of stars in its general vicinity, and the X-ray emissions that come from matter falling into it. It has an estimated mass of about 3 million solar masses, and its gravitational influence is felt across the galaxy. So, just what is in the Milky Way? Along with the super-massive black hole at the center of the galaxy, and all the stars mentioned above, there are smaller black holes scattered about, thousands upon thousands of nebulae, an untold number of planets and their moons, uncountable smaller rocky bodies and dust (lots of it), and gas (lots of it, too). Hydrogen and Helium make up the most abundant elements in the galaxy, being created in the Big Bang, they pervade the Universe. The shape of the Milky Way has been difficult to determine because of bands of dust and gas that obscures our view of the entire galaxy. We’ve been able to glean more information about what’s beyond these dust clouds by using infrared images that can peer through some of the dust, but we still have an incomplete picture of the exact shape. Below is the latest idea of what our home galaxy might look like. Where In The Milky Way Are We? From before the time of Ptolemy and after, the Earth was the center of the Universe. When Copernicus postulated that the Earth actually revolves around the Sun, humankind’s stature in the Universe was demoted. Then Hubble made the revelation that the Milky Way is not the sum total of the Universe, but just one of billions and billions of galaxies floating in a vast volume of mostly empty space. And, to make it worse, we weren’t even at the center of it all! Along with losing the prestige of being at the center of the Universe, we would soon realize that we are not the center of the galaxy. Around 1921, astronomer Harlow Shapley mapped the globular clusters that were thought to be part of the Milky Way and discovered that they were located above and below the plane of the Milky Way in a sort of halo. He also found that they were more numerous near the constellation Sagittarius. The conclusions from his research were that the Sun is not at the center of the galaxy but off to one side. After many years and more research it has been determined that the Sun is approximately 26,000 ly from the center of the galaxy. Where is Earth's position in the Milky Way? 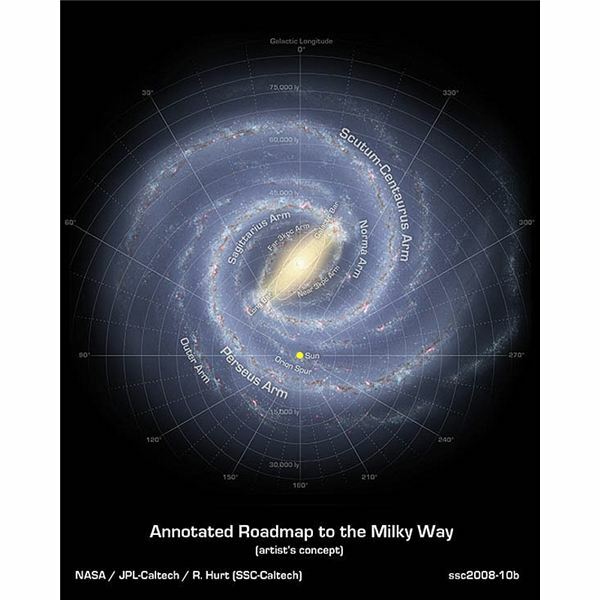 If you look at the annotated image of the Milky Way below, you will see that the Sun is about halfway between the center of the galaxy and its edge. Our star is located within a small, partial arm that is known as the Orion Arm, or Orion Spur. It is nestled between the Perseus Arm and the Sagittarius Arm. We don’t even get to be in a major arm! Don’t be surprise that in the next few years this drawing gets revised, and we find ourselves shifted a bit one way or the other. Most likely there will be more data available that will allow astronomers to detail the far side of the galaxy with greater accuracy. 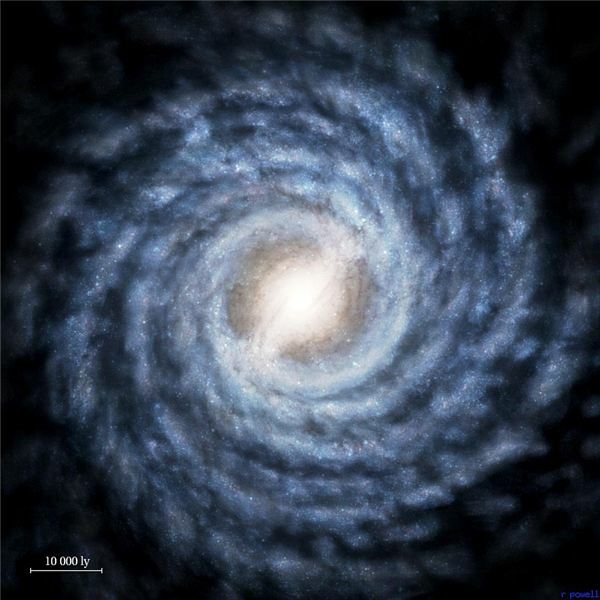 I’ll leave you with a beautiful representation of the Milky Way done by Nick Risinger, who combined the image above with a photo of M51, the Whirlpool galaxy.